The Government has confirmed that its planned register of the beneficial ownership of foreign companies that own UK property will go live in early 2021.
Who will be affected. 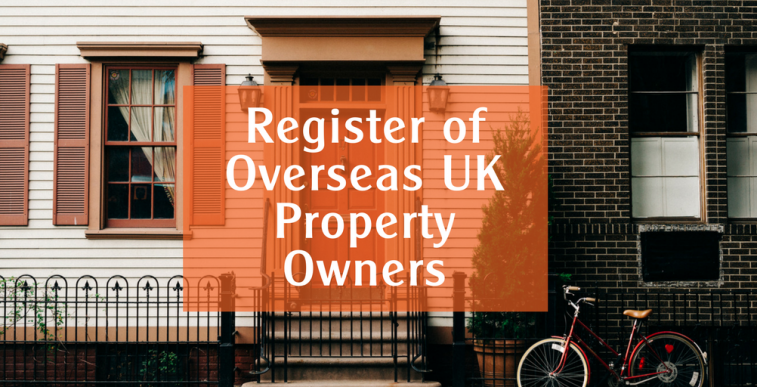 The Register will apply to all Overseas Legal Entities that own property. This will include all non-UK companies, but will also capture any non-UK partnerships, trusts etc.Overseas Legal Entities (OLEs) will need to register their details with Companies House, which will then provide them with a registration number. Property caught by the regime. OLEs will be required to disclose their beneficial owners if they wish to acquire freehold land or registrable leasehold land. (Broadly, a lease needs to be registered in the UK if it is for more than seven years from the date it is granted.) In other words, an OLE will not need to disclose its beneficial owners merely if it intends to acquire a very short lease.Once in operation, The Land Registry will not register a transfer of land to an OLE unless the OLE can provide a registration number issued by Companies House. Similarly, the Land Registry will not register any sale, lease or grant security over land without a registration number. actually exercises, or has the right to exercise, significant influence or control over the OLE; or satisfies one of the above conditions by virtue of controlling a trust or partnership. Information required. The information OLEs will have to provide on their beneficial owners will be the same as that which UK companies are currently required to provide on their PSCs. If an OLE cannot give information on its beneficial owners, it will instead need to provide information on its “managing officers”. There will be an initial grace period during which OLEs will have time to identify their beneficial owners and comply with the regime. The Government has not yet decided how long this period will be, although we now know it will be longer than one year. OLEs will need to update their registered beneficial ownership information at regular intervals. The Government has not yet decided how frequently this will need to be done, but it will be more regularly than the original proposal of every two years.